You are contacting the seller about the item ATA Arms - Nickel Sporter. Most items for sale on this site require an official Firearms Certificate issued by the relevant police authority. If you are uncertain of the right to own or acquire any such item you should first enquire with your local police or registered gun dealer. Please only use this form if the enquiry is off a genuine interest. All multipliable enquiries will be reported to each advertiser. Any requests to deal directly outside of our terms and conditions will be reported to the relevant authorities. This web site facilitates a convenient way to make contact to acquire goods over the Internet. We provide an advertising vehicle through which traders can sell and customers can buy products ('the Services'). It is important that you read and understand these terms before using the Services. By using the gundeal Website herein after called ("the Site"), you agree to be bound by these terms and conditions of use namely that:. It is with the understanding that any dealership utilising the facilities of this “ the site” agrees intirely to facilitate any private individual who by way of sale or purchase off any item through the site will carry out the necessary transactions via that dealership on their behalf to keep all partys within the law and the spirit of this the site, if so requested to do so , for a nominal fee If so required levied to that individual. The Agreement governs the terms on which you ,herein after called ("the User") are granted access to the Site by gundeal in order to explore and access information. The Site contains proprietary notices and copyright information, the terms of which the User agrees to follow.Terms and conditions as listed my change without prior notice and it is the users responsibilty to check these frequently. You grant us a non-exclusive, world-wide, perpetual, irrevocable, royalty-free licence to use any information you provide to us or other users of our services, for example, during the registration or listing process. You must be the absolute owner of any and all materials posted on the Site weather in word or photographs , In addition all photographs used on the site must have the prior consent of the photographer. No information as to the location of any item requiring a legal licence will be allowed, and gundeal has the absolute right to amend or delete same. No firearm may be sold or transferred if it is in need of repair or has been altered from its original specification unless such alterations have been expressly disclosed to the potential purchaser. We have the right to remove any material or posting you make at our absolute discretion. On the site if, in our opinion, such material does not comply with our standards .All adverts for privately posted live firing weapons will be vetted by gundeal, prior to being listed. .gundeal will under no circumstances will be held liable for any item posted be its description true or false as presented by the seller, and that gundeal will not be held accountable in any manner whatsoever for any listing or any item so posted be it vetted or otherwise. You are in total agreement that any viewing of any licensable legally held item for sale will be carried at a registered licensed dealer, and such viewing shall be conducted entirely at your own risk..and that gundeal has no involvement or any obligation, verbally contractual or otherwise between any parties . Your sale or the use of the services must not infringe any third party rights or be unlawful in any way, and any telephone numbers and e mail addresses must be solely under your control, and if not so, you must have full permission to use the same, gundeal has no liability as to the misuse of any such information. If selling, you must list all of your items in the correct category with accurate and appropriate descriptions and provide such information as we may request (together, 'the Listing Information'). Once you post the Listing Information, and as a private seller, the listing is approved by gundeal the item becomes 'a Listed Item'. Consideration should always be given to the nature of Internet transactions and the risks involved and, as a result, you must proceed with care and judgment when using the Services. In recognition of all as stated, you waive any claim you may have against us that is in any way connected with a dispute you have with another user of the Services and the site, and you agree to indemnify us for any losses or liability we suffer as a result of any claim against us by another user or any other third party as a result of your use or in relation to your dealings with such other user or third party including, but not limited to, all fees and expenses incurred. This waiver and indemnity shall not apply in the event of any fraud or wilful misconduct by us. Your acceptance of these terms and conditions also acts as a general release of us and any of our subsidiaries (and all of our officers, directors, agents and employees) from any liability for any claims, loss, and damages (both direct and indirect, including loss of profits, goodwill and business opportunity) arising out of or in any way connected to your use of the Services and the site. In addition, we make no representations or warranties about the accuracy, completeness or suitability for any purpose of the information and related graphics published on the site. From time to time our site may contain technical inaccuracies or typographical errors. All liability of the developers and operators of this site howsoever arising for any such inaccuracies or errors is expressly excluded to the fullest extent permitted by law. Gundeal is the proprietor of the "GUNDEAL" registered trademark and [set up]. All other trademarks, product names and company names or logos herein are the property of their respective owners. No permission is given by us in respect of the use of any such brand names, product names or titles or copyrights and such use may constitute an infringement of the holder's rights. We are the owner or the licensee of all intellectual property rights in our site, and in the material published on it. Copyright laws and treaties around the world protect those works. All such rights are reserved. That each and every transaction carried out on or as a result of the Services is deemed to be completed within the United Kingdom and N.Ireland and therefore shall be governed by and interpreted in accordance with Northern Irish law including the Firearms (N.I ) act 2004. The terms of this charter (and any dispute, controversy, proceedings or claim of whatever nature in relation to them) shall be governed and interpreted in accordance with Northern Irish law and the Northern Irish courts shall have exclusive jurisdiction in relation thereto. The site is a place for sellers to advertise and sell goods and for customers to buy them. We act as venue and do not have and never intend to have any contractual involvement in your transactions and at no stage advertise for sale or purchase, buy or sell or purport to buy or sell any of the products displayed on our site. Any disputes between buyers and sellers are just that-we will not become involved. We will not screen the parties or goods on your behalf and this is a feature of the relationship between you and us that you willingly accept. No information will be held of any kind that will give the location ,addresses or whereabouts of any individual using this site ,other than those legally listed as dealers , any person so using this site is aware of the Firearms Northern Ireland act 2004 and ancillary legistlation . The operators of the site have no association with any individual firearms dealership, nor do they have any direct involvement in the procurement and acquisition of any firearm related items in the course of a business, we purely offer the Site as a service. 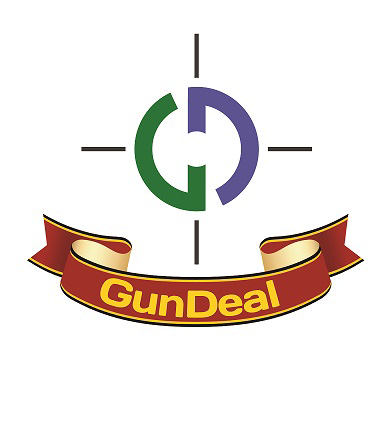 gundeal does not , act as a business relating to firearms , we do not hold ,store, deal, transact, liase ,mediate, act as a third party, or transport any such related items. A Listed Item will remain listed on the Site until: it is sold; or, the seller-specified listed time expires (if any); or we receive written notice via email from you that you wish to de-list it; or we consider in our absolute discretion the listing is in breach of the terms or our acceptable use. All listings on the Site either from a dealership or individual will once deleted or expired or sold be retained in a holding computer file, for security reasons within the site and that any such material can only be viewed and accessed by the site operators, each item will automatically be deleted, removed, and made unrecoverable within a term not exceeding 12 months from the date of selected removal from front end public viewing. The User assumes full responsibility for the protection of their computer system including computer hardware and software, stored data on their computer system and the stored data and computer systems including hardware and software of third parties who may access or be otherwise connected to the User's computer system. The User will assume the responsibility of ensuring that programs or other data downloaded or otherwise received from the site are free from viruses, or other items of a destructive nature. Gundeal makes no representations as to the security, quality or propriety of any website which may be accessed through the Site. Connected websites accessed through the Site are independent web sites over which gundeal does not exercise any control whether financial, editorial or of any other kind. Any works that appear on this page remain the intellectual property of their respective author. If any Copyright owner objects to their material being displayed on this site, gundeal will remove those items from the site. All information made available from within this site is provided "as is" and "as available" for information purposes only and without warranty of any kind, either express or implied, including but not limited to, any guaraantees or warranties as to non-infringement, satisfactory quality or fitness for a particular purpose. Once an advert has been placed, and accepted it may be cancelled but no refund will be given. In no circumstances will gundeal be liable to the User for any direct, indirect, consequential, special or other damages (to include, without limitation,slander, lost profits, interruption to business, loss of the whole or any part of a program or programs or any data howsoever stored whether saved on a computer system or otherwise) howsoever resulting from the use of this site or any other web site connected to the site by means of a hyper-text link or otherwise, (whether such damage is caused by transmission from the site, or a connected web site, to the User's computer system of viruses, or other destructive items, corrupted data or data incompatible with the User's computer system or third parties interception of or access to data of whatever nature). This agreement, together with any document expressly referred to within its provisions, contains the entire agreement between us relating to the subject matter covered and supersedes any previous agreements, arrangements, undertakings or proposals, written or oral, between us in relation to such matters or any statements made to you by any person, including (without limitation) any of our employees or agents. Save for fraud or fraudulent misrepresentation, we shall have no liability for any such representation being untrue or misleading. (a)	The Service will meet the User's expectations. (b)	The Service will be uninterrupted, timely, secure or error free. (c)	The results that may be obtained from the use of the Site will be accurate or reliable. (e)	Any errors in the Software will be corrected. (f) This site as expressed terms and conditions will be based as per Northern Irish law, and no representation is intended to any other country its laws and peoples and as such Gundeal will not be leagly bound or otherwise to any such laws outside of the united kingdom. No advice or information, whether oral or written, obtained by the User from gundeal or through the Site shall create any warranty not expressly stated in the Terms.